The editor’s note at the beginning of my e-ARC of The Silent Companions begins with a warning: don’t read this book at night. Well, I did, and lived to tell about it – although I found myself looking askance at the dolls on my dresser before scuttling under the covers and turning off the light. After writing two excellent fictional accounts of the Georgian royals, Laura Purcell has gone full-blown gothic for her third novel, a spooky read set in an English village in Victorian times and the 17th century. Her heroine is Mrs. Elsie Bainbridge, whose terrible story unfolds as she, a mute and bereft woman charged with arson, pens the details for a doctor at the St. Joseph Hospital for the Insane. He doesn’t want to find her guilty and hopes she can save herself. An atmosphere of dread is conjured up from her tale’s beginning as Elsie, a recent widow, travels by carriage to her late husband Rupert’s family home along with Rupert’s mousy cousin, Sarah. What greets them at the Jacobean manor called “The Bridge” is crumbling disrepair – and something more. The serving maids are untrained, the gardens unkempt, the rooms dusty, and she hears odd hissing sounds at night. The coffin with Rupert’s body awaits burial there, too, with small marks on his skin resembling splinters. Nobody in the nearby village of Fayford wants anything to do with the place, due to rumors of witchcraft and a centuries-old feud. It’s hardly the place for Elsie to raise the child she’s carrying. 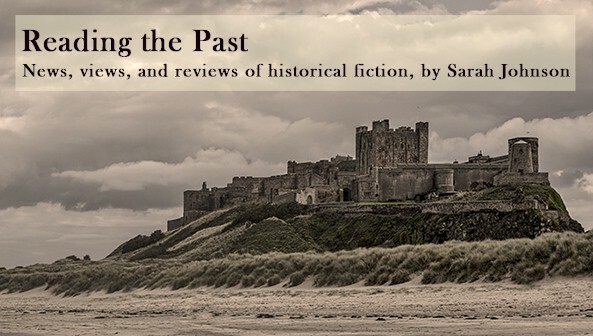 Equally gripping is the account of Anne Bainbridge starting in 1635, just prior to the Civil War years, as she and her husband prepare for a royal visit. A couple of intriguing details (why does one "companion" look like Elsie?) could have been clarified further, but the mystery about the house’s malevolent presence has a darkly satisfying explanation. As the suspense heightens, and Elsie and her household find themselves in grave danger, the tone moves from subtly creepy to outright gory – a bit too gory for me in places – and yet more horrors lie in the all-too-real depictions of women’s powerlessness. 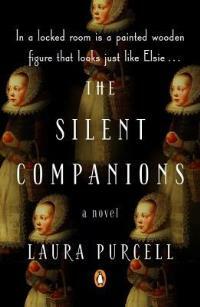 The Silent Companions was published this month by Penguin ($16 US, $22 Canada); I read it from a NetGalley copy. Want to win a copy for yourself? Please fill out the form below to enter the giveaway (this copy was originally provided by the publisher). Void where prohibited, and one entry per household, please. Deadline next Friday, March 23. Good luck! Update, 3/24: The giveaway is over. Congrats to Kim H! Thanks to all who entered. Her other books are very different! But great if you enjoy fiction about royalty, especially royal women who haven't figured in many other novels. Thanks! I read that book, eerie. I saw on Facebook she has another gothic novel coming out later this year, too.